We are pleased to announce that Sue Stoten has been appointed as the new Managing Director of ACM, commencing from 1st September 2018. 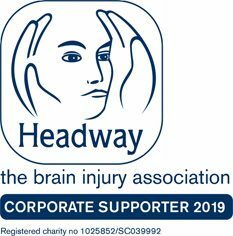 Sue has worked for the company for nearly 20 years, as a brain injury case manager, care expert and most recently as the Acting Clinical Director for Adult Case Management Services. She has been a member of the senior management team at ACM for the last 10 years, and will already be well known to many referring solicitors, as well as case management colleagues. Sue takes over this role from the founder of the company, Caroline Ferber, who will be retiring as Managing Director from 31st August. However, Caroline is not ready to “hang up her briefcase” quite yet, as she intends to continue with her busy expert work case load, and is continuing to accept new instructions as an experienced and well respected TBI care expert. Previous Previous post: Join our case management team!